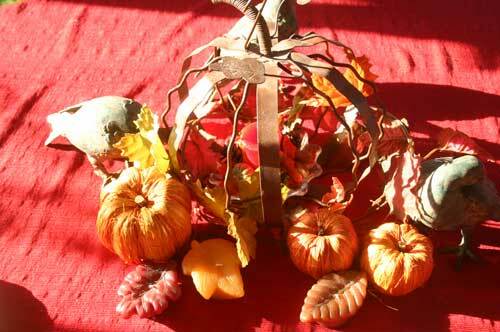 Love your wrought iron pumpkin as your centerpiece. great spot to enjoy the evening. I love your centerpiece. 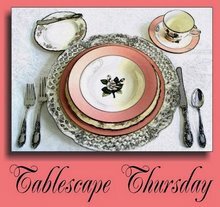 I’ve never seen that spode pattern before, it’s delish! I would love to be the second person dining with you on your deck…what a wonderful time of year we experience here in the South! I loved your place setting and was especially drawn to the glasses….beautiful! I love the Spode. Reynolds was my mother’s pattern. Very pretty. I really like those birds!!!!!! What a great find! 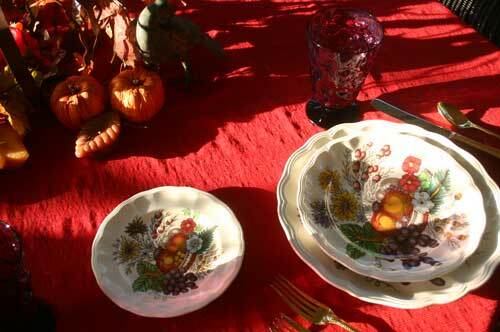 Love those pretty dishes. 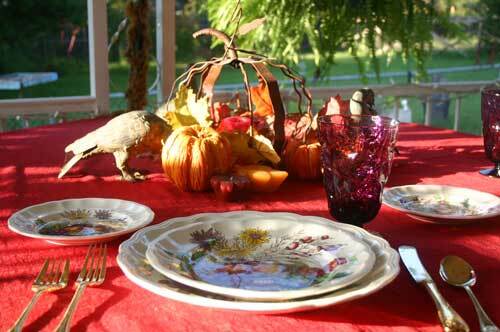 This is a perfect fall tablescape with the fall colors, pumpkins and birds. Thanks for sharing your delicous sounding fall salad recipe too. I love your centerpeice! Just a perfect tablescape for outside. Thank you for sharing. It looks like a wonderful fall day to have a table outside! I love your centerpiece. THat wirey pumpkin filled with all of falls bounty looks gorgeous! And your china is absolutely the most beautiful! I love to visit your blog and visit. The birds are back…I have missed them! Beautiful china for this time of year. 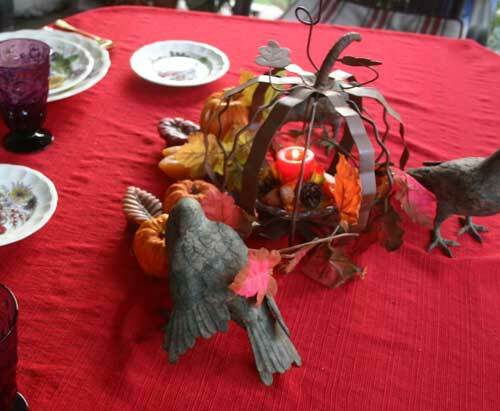 Beautiful fall table! That china is so pretty! I have made a similar salad with apples, so I’ll have to try the pear! Love the Spode! Thanks for sharing. Love your Spode! Thanks for sharing. I love your centerpiece. 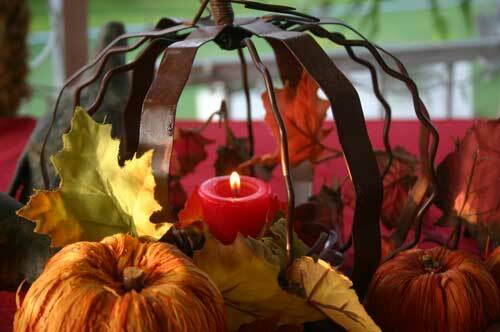 It is just lovely with all the fall things and that candle. Everything looks so pretty on that red cloth. I’m not sure what I like better, the dishes or the centerpiece. I’ll just call it a tie. 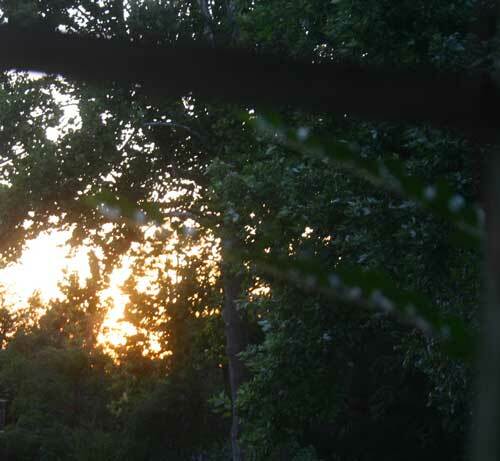 I agree that these fall southern evenings are really wonderful! Your dishes are adorable! 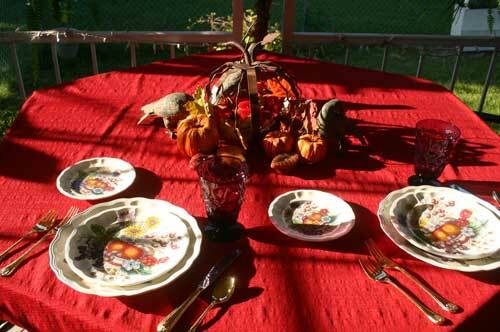 How wonderful for a fall table. I can’t wait to try your recipe, too. Pears, blue cheese – sounds delicious. 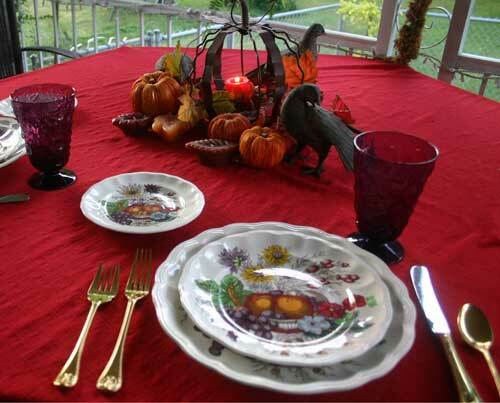 Your Spode dinnerware is beautiful! The pumpkin centerpiece is really cute! Such gorgeous china! I will have to try your lovely recipe, we love anything with blue cheese!